Need an installment loan in eastern Illinois? Stop in at the Bradley AmeriCash Loans location today! 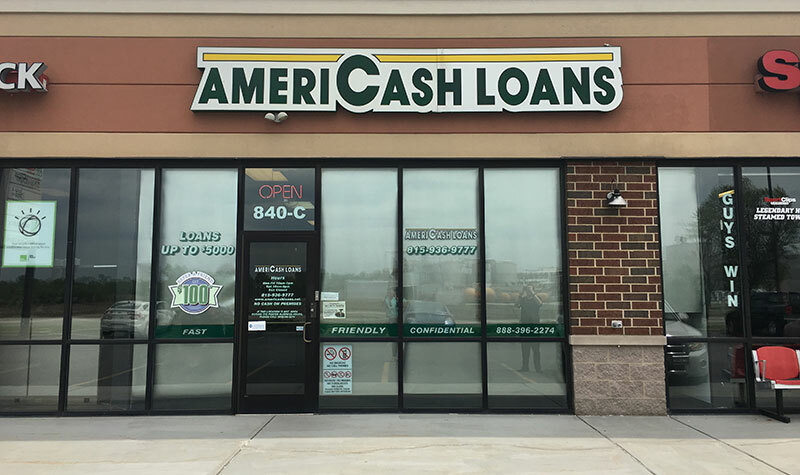 Located just minutes off of I-57, AmeriCash Loans is easily accessible from anywhere in Bradley, Kankakee, or Bourbonnais. When you visit, you’ll experience the best in customer service from our friendly staff, who will guide you through filling out an easy, quick, and confidential application. The best part? If you’re approved, you can have a check in hand before you leave the store. We're proud to provide installment loans to community members in eastern Illinois and western Indiana!